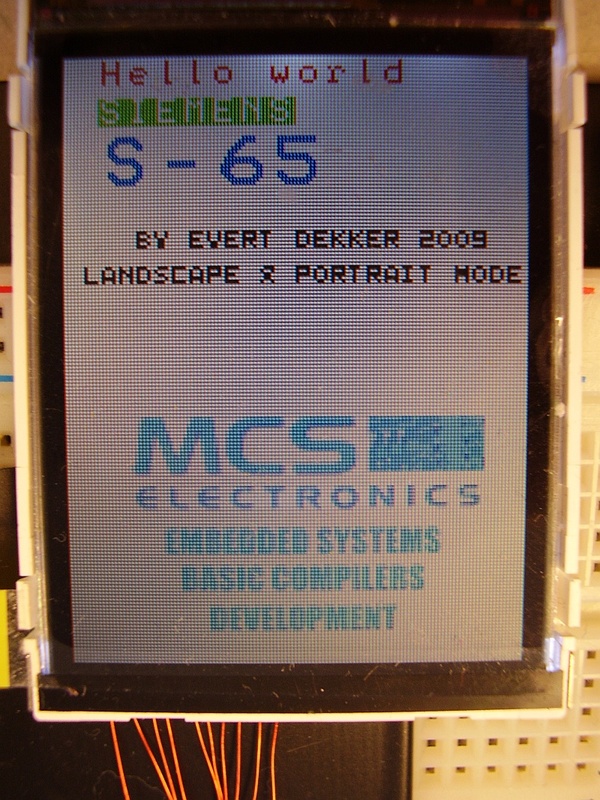 The Siemens S65 display with an resolution of 132×176 pixels is a very nice display, it’s bigger and clearer then the Nokia 128×128 display. It’s consumes less power then the Nokia. Signal levels are at 3V so some level converter is needed when connecting to an 5V Avr. Nice schematic sample . These routines are written for S65 display with the LS020 controller, other controllers are not supported. Display can be used in landscape or portrait mode by changing the Const Landscape = 0. 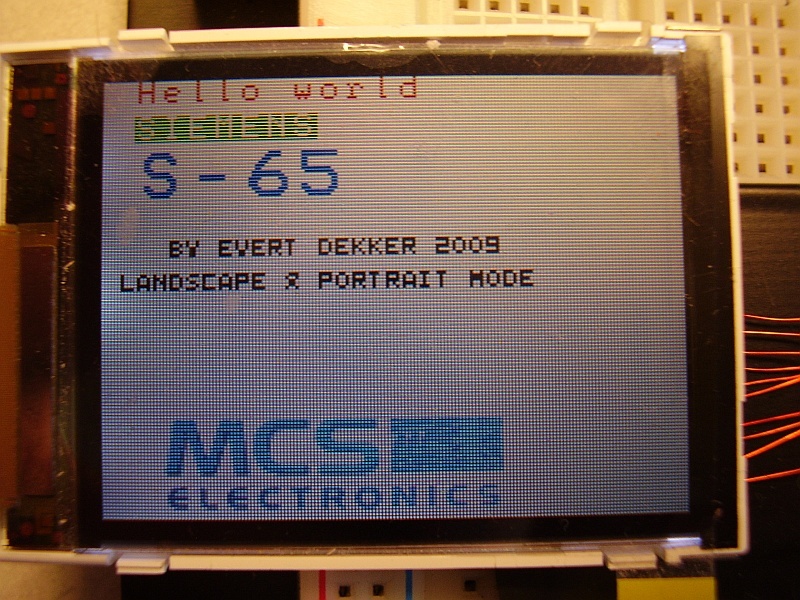 To keep the display compatible with Bascom’s BGC created with lcdconvert.exe and font files created with the font editor, it’s will switch to 8bit mode after init. This will result in 256 color’s. This will show text on the lcd. It uses the Bascom FONT files for compatibility. This will show an Bascom color BGC (Bascom graphic color) on the lcd. Don’t forget to first RESTORE the image name, see the sample. x1 Starting horizontal location of the line. y1 Starting vertical location of the line. x2 Horizontal end location of the line. y2 Vertical end location of the line. Draws a line on the lcd. Set a pixel on the lcd. Clears the lcd in an specified color. $include "Font6x8.font"                                     'these are flash memory eaters.